Update: In an interesting reversal of the article below, recently a cleverly crafted message has been circulating on Facebook. 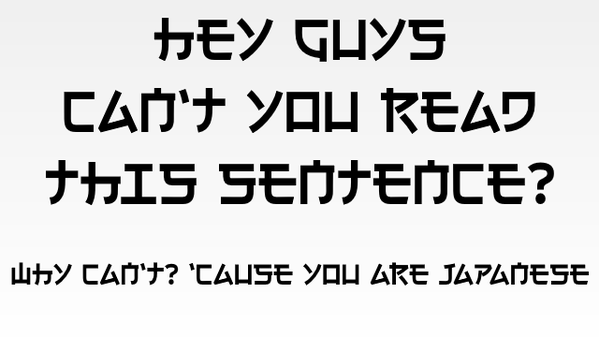 If you an non-Japanese English speaker you will probably have no problem reading it; however, if you are an English speaking, native Japanese, you're probably in trouble. 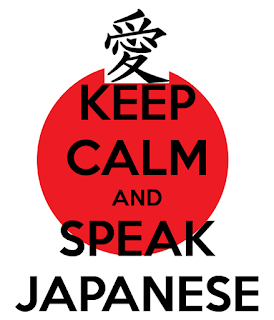 So is it really that hard to learn Japanese? The answer to this lies clearly in the realm of "Yes. And no". In effect, "Is it really hard to learn Japanese?" isn't the right question though a natural one to ask. The difficulty in learning Japanese, as opposed to learning many other languages, really resides in the complexity of kanji (bear with me here), the ideogrammatic alphabet used in daily print. There are close to 2,000 characters used by daily newspapers alone, and that's a voluntary limit they place on themselves. Add to this the two additional phonetic alphabets of hiragana and katakana and you run head long into a basic problem. A language is much harder to learn when you simply can't read it. However, despite the bilingual illiteracy forced upon us as we arrive, the actual structure of the spoken language is child's play compared to English. There are a limited number of tenses and the rigorous grammatical structure ensures that once learnt, the rest is more a question of accumulating vocabulary than anything else. Learn one verb structure and you've pretty much learnt the lot. As long as you can remember the verb in the first place that is. But as I say, this is an answer to the wrong question. 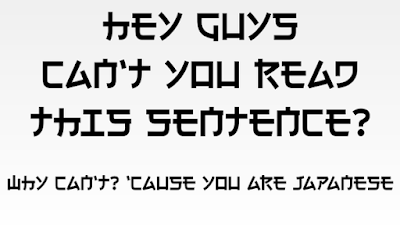 The actual question should be "Is it really hard to communicate in Japanese?". And this is much more in the camp of a "yes" rather than a more ambiguous "maybe". But there is a reason for this. The issue, as an English speaker, is that in effect we are spoilt for choice in the variations, dialects, structures and full on errors we hear in daily life. Less than 50% of the world's English speakers are native to the language so we are used to hearing every mistake under the sun. And we've been auto-correcting for them long since before anyone invented predictive texting. Turn this around though and 99%+ of Japanese speakers are native. As a nation, Japan isn't exposed to errors or mispronunciations that we ignore for granted and as a result will often draw a blank when they are encountered. I accept this is a generalisation as, for example, Tokyo has more exposure to foreigners and is adapting to the new variety of the language being spoken. But once you're on that train out of the city, don't be surprised by that blank stare. Communicating in a language is a two way street. Learning can come from the wonders of YouTube. Communicating takes a little more interaction. But Gambare! It's a beautiful polysyllabic language once you get the hang of it.